Mix & match for beautiful jewelry. 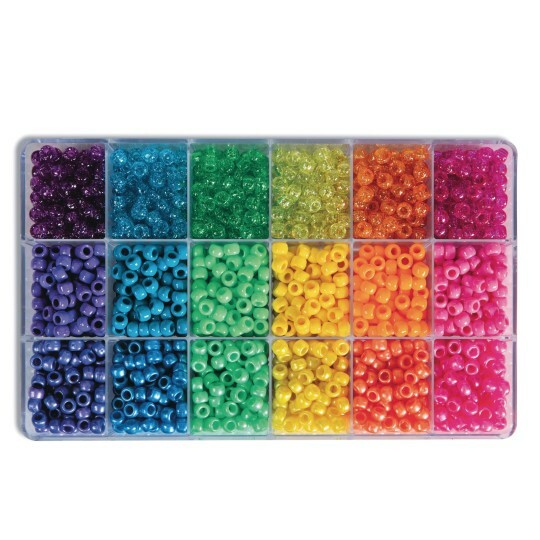 Sparkle and Brights Pony Bead Box contains a color coordinated mix of 6 bold colors in three great finishes: sparkling, pearlized and glossy. 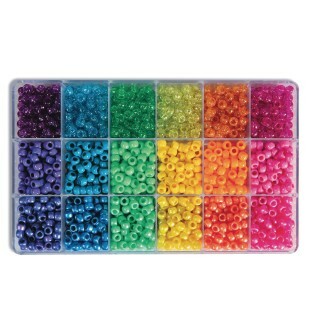 Mix and match the beads to create beautiful jewelry. Set includes approx. 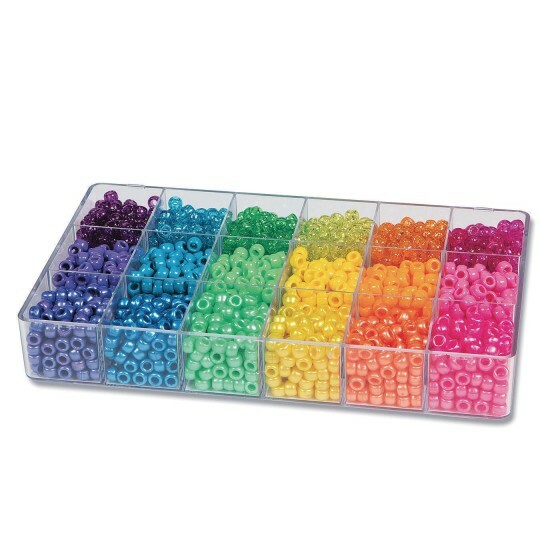 2300 total beads organized in an 18-compartment heavy-duty, reusable acrylic storage box. Each measures 6mm x 9mm with 4mm hole. Made in USA.